We know meeting someone for the first time can be intimidating, and visiting a new church can be nerve-racking. 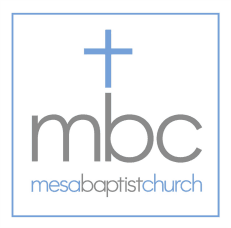 We want to help make your first experience at Mesa Baptist Church a great one! Know that you won't be met with shame, guilt, or condemnation. We don't care how you're dressed or who you voted for in the last election. Our church is made up of imperfect people with every kind of story imaginable. No matter what you've been through or what questions you might have about God and faith, MBC is a place where you'll find the love, grace, and forgiveness that Jesus offers to everyone. In total, a Sunday morning service is about 65 minutes in length. A service generally begins with our worship team (band with vocalists) leading the church in song; the music is contemporary, but hymns in updated arrangements are frequently included. Song lyrics are projected onto an overhead screen so you can sing along and/or engage with worship however you feel most comfortable. Following the music, one of our pastors will share a message from God's Word, the Bible. A service may also include videos, personal testimonies, and baptisms. What's the culture like at MBC? 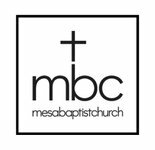 Sundays at Mesa Baptist are welcoming and relaxed. You'll see people dressed up (dress shirts & ties on men, dresses/skirts on women), dressed down (jeans & T-shirts), and everything in between! Ours is a multi-cultural body of believers of all ages, and we invite you to come as you are and expect to feel welcomed as our guest.